Marketing Information: End-users removing privacy filters from monitors where on-screen data must be protected can be a serious violation. It's a big problem in medical, library, financial and other facilities that require secure data. 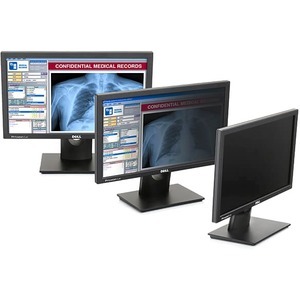 The PrivateVue monitor is the perfect solution. The permanently installed Privacy Filter prevents filter removal and keeps you compliant. Helps maintain HIPAA Compliance, Gramm-Leach-Bliley, and more. Brand name monitors with a 3-year warranty. Stop the high cost of replacing privacy filters!